Upgraded to a one part flyline (the welds gone!!) our big game version of the Depthfinder is built on a 50lb test Power core for maximum strength. The high density tungsten coated head gets your flies deep, while the low stretch allows you to set oversize hooks with ease, even at extreme range. Its extra long 150' length allows you to exert full pressure earlier in the fight - helping tip balance in your favour for a change. 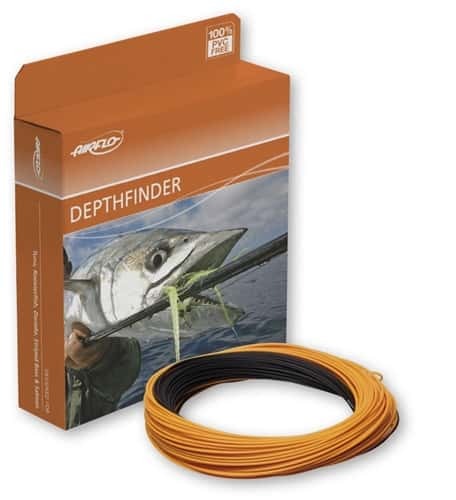 Big fish require 'BIG' flylines, our Big Game veresion of the Depthfinder combines a 50lb test briaded Power Core with the highest density heads on the market. Works great for towing big pike flies into deep water!